Noted VOIP client, Viber, which just submitted its beta 2.1 version for approval a few days ago, has already gotten a significant makeover that adds a bunch of features for Windows Phone 8. Most notably, version 2.2.2.0 adds free calling with HD sound quality, but it also adds Live Tile support. You can now pin conversations to the Start screen and receive lockscreen notifications. 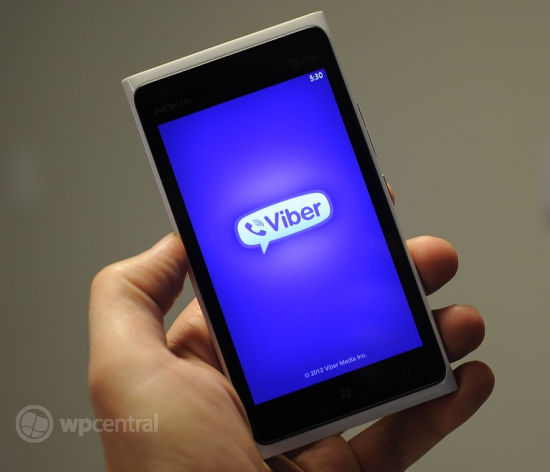 Viber integrates with your address book and allows you to have group conversations with up to 40 participants. You can also share pictures directly from your photo gallery and tag your conversations with your current location. This goes beyond a simple update. It's a complete makeover. You can get Viber for free here.